Recent educational reform initiatives such as the Common Core State Standards (CCSS) largely fail to address the needs—or tap into the unique resources—of students who are developing literacy skills in both English and a home language. 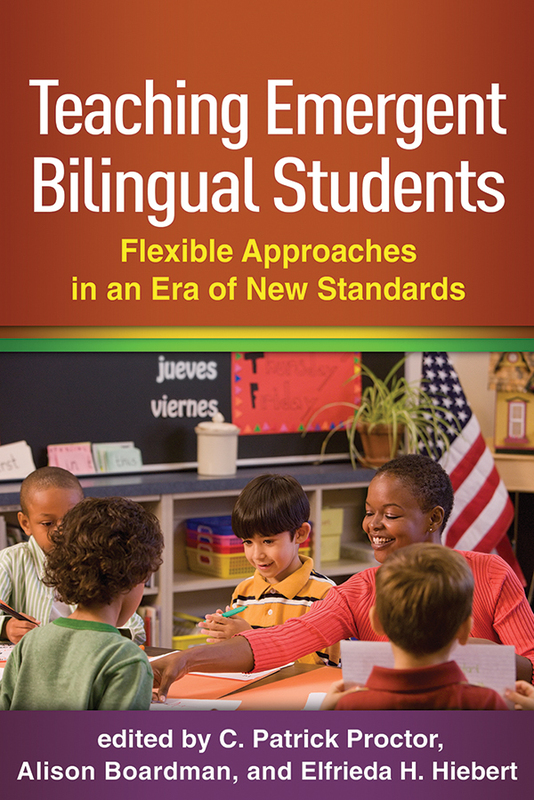 This book discusses ways to meet the challenges that current standards pose for teaching emergent bilingual students in grades K-8. Leading experts describe effective, standards-aligned instructional approaches and programs expressly developed to promote bilingual learners' academic vocabulary, comprehension, speaking, writing, and content learning. Innovative policy recommendations and professional development approaches are also presented.